Training does not only include your pig. 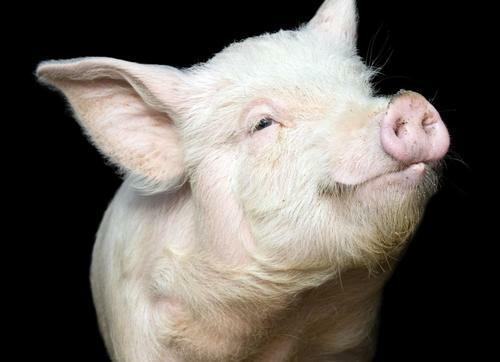 Pigs train humans much faster than we train the pigs. These are tools and guides you can use in your everyday life to help you with the beginning stages of training. More advanced training will be added as well, but these are basics that EVERY pig parent should be empowered with. The information below is a "quick look" at the most important information starting from how to introduce yourself to a new pig. We have also included other pages on the website that deal with specific behavioral issues so they're easier to find. Email us directly if you need more 1:1 support/help at minipiginfo@gmail.com. We will do what we can to assist you! To begin training, start with this page. There are the very basics of behaviors and the most important things to know/learn. Please bear with us as we redesign our page and add additional content while sorting out old and outdated pages with newer content. There is so much more to come! Starting with the basics, how to introduce yourself to a new pig, additional training tips follow on upcoming pages in this section. Feel free to click "next page" on the bottom of each page to advance to the next topic or hover over the main section header in the menu to see the submenu for additional pages relating to the general topic. The Animal Behavior Center is a great resource for problematic or behaviorally challenged pig parents also. Click here to view their YouTube playlist for pig training. Wiggle your fingers to get the piglet's attention. The piglet should be looking curiously at your hand, from a distance. You may also consider wiggling a treat or a toy in front of you to get the piglet’s attention. Wiggling the fingers would be similar to a pigs sibling wagging its tail, it captures their attention. Try offering the piglet a piece of fresh fruit or a tennis ball. When giving pigs treats, it is recommended that your pig "work" for the treat by doing a trick or as a training method. Otherwise, you become the treat dispenser and your pig can associate your hands with food causing food aggression. Click here to read more about that. Keep in mind that many farm pigs are not named because they will eventually be taken away and sent elsewhere. The pigs we have as pets are not classified as farm pigs and should have an appropriate name. Keep a first aid kit handy that includes a bottle of betadine and peroxide just in case you get bit. Clean bites with peroxide then betadine (iodine). You should also make sure that you are current on your tetanus shots before playing with a piglet. Any animal bite can allow bacteria to enter the skin and cause an infection, so if there are any signs/symptoms of infection like the area is hot to the touch, red, swollen or draining any fluid/pus, you need to see your primary care physician. Your doctor may need to do a more invasive cleaning and/or give you a course of antibiotics to treat it. Animal bites are NOT typically sutured because it traps any bacteria inside. However, given a large enough wound, your doctor would be best to treat and advise whether or not sutures are appropriate. Remember also that animal bites are reportable to animal control organizations, so practice precaution when approaching and handling a new pig. Do not give your pig the opportunity to hurt you by putting your pig in a position to have to bite out of fear. Remember to watch your fingers. Even if the piglet is comfortable with you, she may still try to nibble on your fingers if they smell like food or if she gets curious. A pig tipping over for a belly rub is a vulnerable pig and this is a sign of trust for your pig. Play with the piglet as you would play with another young animal. Once the piglet is comfortable with you, you can try playing games with her and introduce some toys as well. Piglets love to play lots of the same games that other traditional pets enjoy. Click here to learn more about enrichment and ideas for enriching your pigs life.